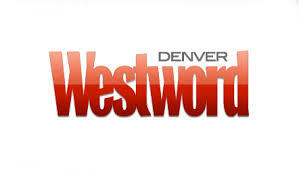 Thank you Westword for including us in your list for Denvers Best BBQ. Denver has many great BBQ places doing all kinds of different types of BBQ – I have been to several on this list and they all do a great job! Its difficult to pick just 10 places when compiling a list particularly for a BBQ guy like myself. I don’t consider myself a bbq snob. While I am known to eat the occasional BBQ meal from a chain like Famous Dave’s. I have no pre-conceived ideas about how bbq should taste or be prepared. By saying so does not make my preferences right or wrong as they are simply my preferences. Mostly I just want it to taste good while appreciating the different ways people can prepare BBQ. Consequently I will take a piece of meat fresh off the smoker every day and twice on Sunday over a piece of meat that has been re-heated. To me fresh meat taste better than reheated meat. I always enjoy seeing us make any list of Denvers best BBQ. Furthermore, I can imagine how tough it is to compile such as list. If you see your favorite place not make the list, your may not be alone. I am sure it was a tough decision to decide which of the 10 places made the the list. The article lists the places in alphabetical order now its up to you to go try them and rank em’.